In partnership with Admiral, one of the most respected sportswear brands since 1966, WeGotSoccer brings the WGS Performance Tee Shirt. This is the perfect piece for any player or club looking for a performance material top for practice, training, or even gameday. 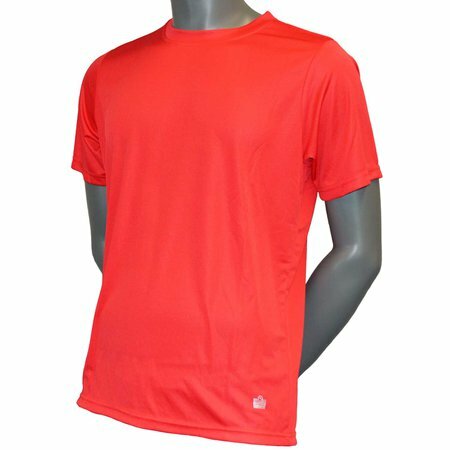 This garment will keep you cool and comfortable with sweat-wicking fabric. Solid Color matches with any team color. Crew neck is comfortable and stretchable. Sweat-wicking material moves moisture away from the body and keeps you dry. Standard fit is roomy and breathable. WGS Performance Soccer Tee Shirt - Available at WeGotSoccer!